Sheffield Green Party has submitted a response to the consultation on the future East Midlands Rail franchise. This includes the Sheffield to London main line, local lines and the management of Sheffield station. First and foremost, we believe our railways should be publicly owned and controlled. They should be inclusive for all, affordable for all, accessible to all, and minimise harm to the environment, for the health and wellbeing of all. This response focusses on the Sheffield perspective, including management of Sheffield Midland station, which is part of the franchise. We also strongly believe that Sheffield and the North of England needs and deserves a similar level of investment in rail infrastructure as the South East and London has received. We wish to see the DfT’s requirement for ticket barriers to be removed from the franchise. 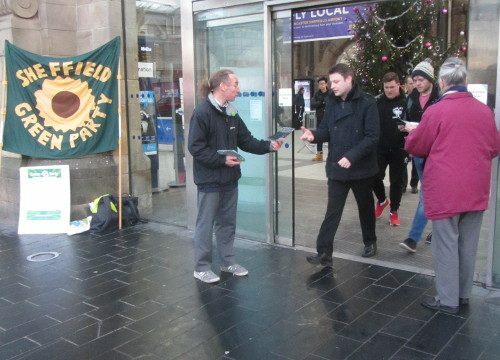 Sheffield Green Party consistently opposed installing ticket barriers at Sheffield station and was pleased to be part of the successful campaign to show they were a bad idea. The station footbridge is a major public access route between the city centre and the Norfolk Park area, paid for by public and EU money. Ticket barriers also have a disproportionate effect on disabled people. We are pleased to hear the assurances given at the consultation meetings that no further ticket barriers are proposed. We strong support the move to rail electrification across as much of the network as possible and wish to see a timetable for action. We recognise that air pollution is a serious national issues resulting in an estimated 40,000 premature deaths each year and that the UK is already seriously in breach of minimum international legal standards of protection. Air pollution monitoring at Sheffield station has recorded NO2 concentrations at over seven times the maximum legal limit of 40µg/m3. We consider that a priority for programme of electrification may be to include regional lines serving Sheffield, Doncaster and Leeds where an improvement in local services could have a greater impact than further enhancements to the Sheffield-London route. We would like to see a commitment to the franchisee reducing air pollution from trains (and other machinery or processes at the station) by a firm air quality action plan for all stations it manages. This should drive towards reducing idling of stationary engines as far as possible. The franchisee should also have a clear system of management of all taxi ranks at its stations using its powers of license or sub-franchise. For instance, at Sheffield station where NO2 levels have been recorded at over seven times the legal maximum, there are problems with continual taxi engine emissions because of the way the taxi system operates. This could be tackled through use of station permit fees. We would like to see the franchisee required to impose effective air pollution reduction conditions. These could include no-idling conditions or giving discounts to low-emission vehicles. There should be a comprehensive system of regular air pollution monitoring at all stations and this data should be publicised so that improvements and trends over time can be seen. Locations for air quality monitoring should include taxi ranks. This data should be made publicly available online. A lot of passenger waste is generated both on trains and at stations. We would like to see big improvements in firstly, minimising packaging and, secondly, effective recycling of paper, glass and plastic bottles. Reusable (china) crockery and cutlery should be used as far as possible in first class catering. Sales from refreshment trolleys should aim to reduce packaging and the reuse of plastic bottles. This may include requiring price differentials for passengers who use their own cups. There should be separate bins on stations and separated collection of waste materials (especially newspapers and magazines) on trains, which are currently all put into general waste. The franchisee should have regular customer information (such as notices in carriages) that promotes the need to reduce waste and to separate recyclable material. 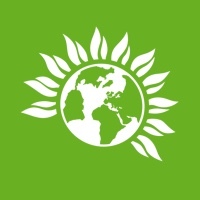 If possible, the franchisee should be required to report the volumes of recycled waste as a proportion of all waste removed from each station. This data should be made publicly available online. Sheffield station is currently not served by any buses. Although a limited number of buses are available at the bus station, which is relatively nearby, the franchise should encourage the development of bus stops and services at the station itself and should require co-operation with the Passenger Transport Executive. There should be better sharing of real-time information on rail services in Sheffield bus station and at the tram stop serving the station. There should also be a commitment to provide accurate and real-time information on local bus and tram services at the train station. The franchise arrangements should ensure that the franchisee is required to fully engage and cooperate with the forthcoming tram-train provision in Sheffield and Rotherham. There should be a guarantee for the continued provision of cycle hubs and for support for independent enterprises such as the successful “Russell’s Bike Shed” at Sheffield station. The franchisee should provide enough cycle parking to make it clear that cycling to the station is encouraged; that is, meeting not just current demand but anticipated higher demand in future. This means providing cycle stands at the front of the station so that it is only a step or two from parking a bike to buying a ticket. It also means providing cycle stands at the back of the station so that cycling from the Norfolk Park area to catch a train is more convenient. All stands should be the classic “Sheffield stand” kind as recommended by the Department for Transport, the CTC and the National Cycling Strategy for short-stay cycle parking. The franchise should incorporate provision for the potential expansion of suburban travel in Sheffield and the reopening of existing stations at Heeley, Millhouses and Totley Brook. The latest weekday train from Sheffield to London departs at 2049; the latest from London to Sheffield departs at 2225. Saturday and Sunday times are earlier. At least one late-night train each way would improve the service for off-peak travellers and better reflect the increasingly irregular and 24-hour lifestyles of many people. Free public wireless should be reinstated at all stations. Free wireless used to be available at Sheffield station but this is now paid-for subscription only. Reinstating free wireless would help ensure fair access to information as those people most affected are likely to be poorer or less frequent travellers or those who do not want to have to sign up to over-the-phone payments. Free wireless would assist passengers with finding and checking travel information, updates to running times or about their intended destinations, thus contributing to the efficient running of the railway. Free wireless would also make the station environment more convenient, welcoming and modern. Free wireless should also be provided on trains. It should be seen as an integral part of a modern service rather than something to charge extra for. It would greatly help passengers plan ahead their actions at their next station. When planning information services, franchisees should be required to disregard the view that members of the travelling public may have good access to 4G networks. Such assumptions may well be true of those who can afford to pay first-class or peak-travel fares but will exclude people with access requirements or with only a basic phone. Many people do not have good access to information and they are the ones for whom public information facilities are most important. Such a requirement would help the DfT meet its legal duties under the public sector equality duty. The franchisee should provide toilets at each station that are expected to be open and accessible to the general public, ideally 24 hours a day. Toilets should be fully accessible and ideally should meet “changing places” standards. This is a critical service for disabled passengers but also important for all members of the public at a time when fewer public toilets are otherwise provided. 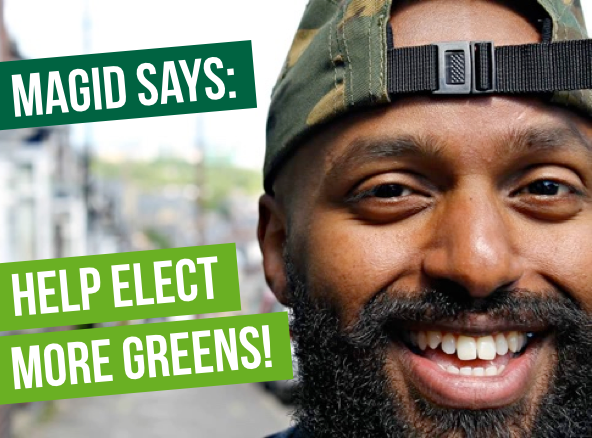 Sheffield Green Party notes with concern that there are no explicit proposals to build equality and environmental considerations into the heart of the franchise. We believe that these issues must be built into the structure of the franchise and not regarded as an additional nicety. In particular, we are concerned at the possible lack of understanding of equality issues in that we note the consultation asks whether the franchisee should take equality into account. It is also a legal duty to comply, as a minimum with the duties in the Equality Act 2010, whether as a provider of services or under the public sector equality duty.